Weekends 10 a.m. - 4 p.m. The Museum Campus experience starts at 1050 Bathtub Row, Los Alamos, NM, ​next door to Fuller Lodge. Step inside the homestead-era Romero Cabin, visit an Ancestral Pueblo site, hear about the giants of 20th century physics who walked these streets, and learn how Bathtub Row got its name. Tickets include museum admission and are available at the Los Alamos History Museum Shop. Tickets are sold until tours are filled, at sixteen visitors. ​Tours last approximately an hour and a half. Monday through Saturday at 11 a.m. Specially scheduled group tours of the historic district are available. Private tours for groups of up to 8 people are $25 per person. Tours for groups of 9 or more people are $15 per person. Visitors 18 and under are free. Please visit the Education Program Page for information on School Group Tours. Tour tickets include museum admission. Please book your tour at least two weeks in advance of your visit. To schedule a tour, please contact the Museum Educator, Aimee Slaughter, at 505-695-5251 or educator@losalamoshistory.org. 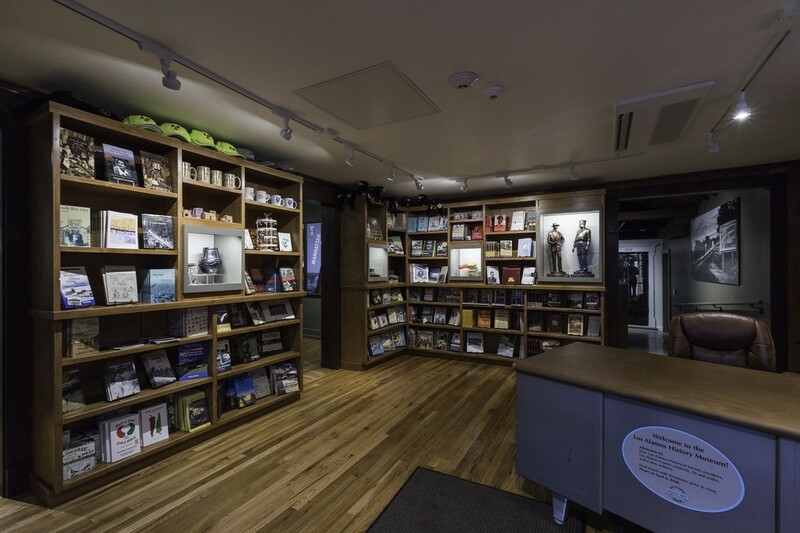 Visit the Los Alamos History Museum Shop for a wide selection of Manhattan Project and World War II related books, as well as local outdoor guides, Southwestern cookbooks, and children's books. We have hats, shirts, mugs, and other gift items.